“What is truth?” Pilate turned to Jesus and asked this profound question. It is a question that continues to be debated in our day. But it is one that God has definitively answered in His written Word and ultimately revealed in the incarnate Word, Jesus Christ. It has been the duty and privilege of each successive generation of Christians to proclaim the truth of the gospel to a world that desperately needs to hear it. 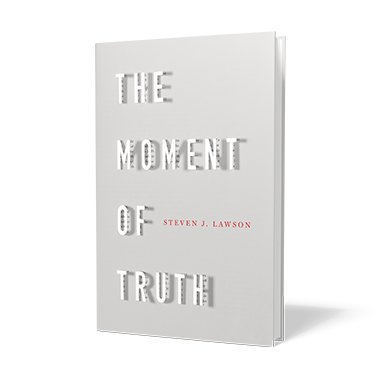 In The Moment of Truth, Dr. Lawson speaks into our cultural moment, helping Christians and skeptics alike to answer Pilate’s age-old question. Dr. Steven J. Lawson is founder and president of OnePassion Ministries, a Ligonier Ministries teaching fellow, and author of many books, including Pillars of Grace. He is on Twitter @DrStevenJLawson.